Have you got what it takes to be a Harry's hero? Harry's Ball 2019 Pictures ! Welcome to HelpHarryHelpOthers – a campaign started by the incredibly brave Harry Moseley. Whilst battling an inoperable brain tumour, Harry was inspired to make a difference to all people with brain cancer when a friend of his who also had a brain tumour became very ill. Within the space of just over two years Harry had organised and attended nearly 100 events to raise money for and awareness of Brain Cancer. He touched the hearts of the nation with his efforts and helped change the lives of everyone he met. Sadly Harry’s health took a sudden turn for the worse following brain surgery in August 2011. On 8th October 2011, and after 14 weeks in a coma, Harry passed away peacefully at home in his Mom’s arms. “Welcome everyone and thank you for taking interest in my campaign! My name is Harry Moseley and I am 11 years old. I live in Sheldon and attend Blakenhale Junior School. I have a brain tumour, but doctors cannot operate on me as my tumour is in a dangerous place in my brain. I have had chemotherapy but sadly that did not work and have had radiotherapy too. I am ok at the moment but in 2009 a very special friend of mine – Robert Harley became very poorly. I met him at the hospital and he had brain cancer too. I love Robert and wanted to help make him better so I decided to make and sell beaded bracelets and set up my campaign. Sadly 4 weeks into my campaign, my special friend Robert died. This makes me very sad and although my campaign is going really well, I wish I had started it sooner. I can no longer help Robert, but I know that he was proud of me and he wore my bracelet too. As Robert was my inspiration I have now decided to dedicate my campaign in memory of him as this is my way of keeping his memory alive and something I know he would have helped and supported me with if he was with us today. I live in the hope that one day there will be a cure for brain tumours and with your help we can help others. Whilst I started out just making beaded bracelets I have created my own ‘schools initiative’ where school kids can get involved too and raise money for their own school fund. I have also created a business powerpoint presentation to try and get businesses to back my campaign. I also speak at big public events to large audiences of 500 people. Please support me and my campaign so that we together can make a difference to all people that suffer with brain tumours”. HelpHarryHelpOthers is all about continuing the example Harry set us. We want to help all those suffering with cancer, and at the same time help cure the disease itself….but we can’t do it without your help! There’s lots of ways you can help us, and every little thing will make a real difference. So spread the Harry love, and join us! Triathlon for Harry - our National Partner! Recently we launched our #Time4Teens programme and it continues again this Thursday afternoon, It’s an after school programme designed by teens for teens. It’s open from 3.30pm until 5.30pm and is open to anyone between the ages of 13 and 18 that has been affected by Cancer. An evening with Dwight Yorke & Andy Cole !! Join the Manchester United treble winners on Thursday 16th May at Walsall Football Club, Its an evening not to be missed for any United fan. Nominations Open for Harry'z Young Starz ! We are pleased to announce that nominations are now open for the first of this year’s Harry’z Young Starz awards. HHHO goes through £1 Million'th pound of giving !! After all the excitement from our ball last weekend, some of you may not be aware that on Saturday we were able to donate £18,000 to the Brain tumour research lab at the University of Birmingham.Taking the total of money given now by Help Harry Help Others to over the One Million Pound mark. We recently announced that starting on Thursday 4th April we will be staying open every Thursday until 9pm offering a variety of services to anyone in work and affected by cancer. We recently announced that this year sees the return of Harry’z Young Starz awards, it’s our way of recognising the often unnoticed work that young people do for others. Each month a different category is selected and nominations invited for a special award to be presented to the young person seen as most deserving. We are delighted to have Baldwins Accountants and Hogarths Hotels as associate partners for this years awards but we are looking out for singular award sponsors. In return for sponsorship you will get two tickets to our gala presentation dinner in Decemeber , get promotion on our social media for the month of your selected category and you will be a huge part of a celebration of tomorrows leaders. Every Thursday at the Help Harry Drop In Cancer Support Centre we host an after school club for young people aged between 13 and 18 that have been affected by cancer. The group called#Time4Teens has been created by Teens for Teens and is open to Patients, Carers, Friends or Family members. 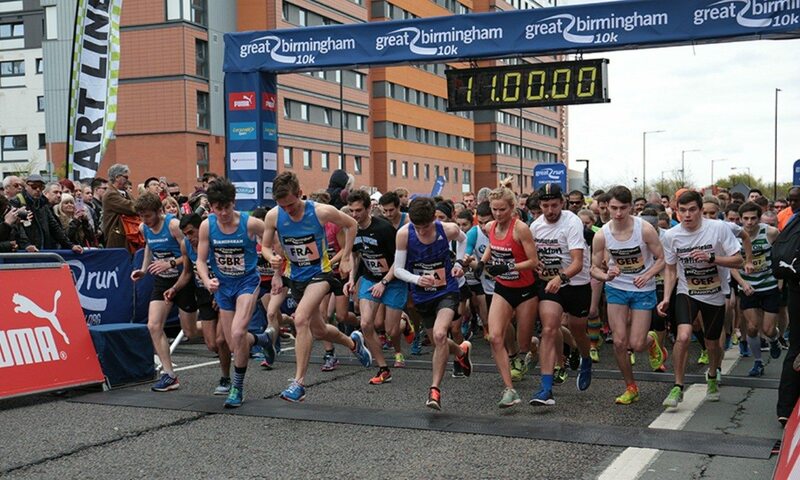 This years Birmingham Half marathon is taking place on Sunday 14th October and we would love you to run for us. Huge thanks to our friends at Asda in Chelmsley Wood for letting us hold a stall outside there store on Saturday 18th August. Harry's mom Georgie was out and about in Harrys favourite place collecting for HHHO. Huge thanks to everyone that came down and got themselves a bracelet. Great to have the 260th scout group visit the Cancer centre this afternoon. September is Childhood Cancer Awareness month and for this amazing month we have produced this special edition gold coloured bracelet. Help Harry Golf Day a roaring success !! The innaguarl Help Harry Help Others golf day proved to be a roaring success, With teamsd from all across the midlands taking part at the Marriot Forest of Arden Golf club. Our huge thanks to our great frind Rachel Howell from RSD Events for putting on such a terrific day and to TC Cars for sponsoring the event. We Joined Martineau place to celebrate one great day, Our Volunteer Doreen joined in the fun as we sold bracelets and raised awareness for HHHO. Today we joined staff and supporters from Haines Watts accountants in worcester and Birmingham as they held their annual golf day in support of Help Harry Help Others. Today we were visited by Laura Bemister and James Migdal from one stop shops with a very generous donation for £1060 from the head offices at One Stop Stores . Great meeting with commercial manager At Walsall F.C. official and also receive a kind donation of £500 following the Nigel Benn evening here recently which will be added to Baldwin’s footy tournament total. Huge thanks to all fans that attended. Exciting times— at Walsall FC Official. 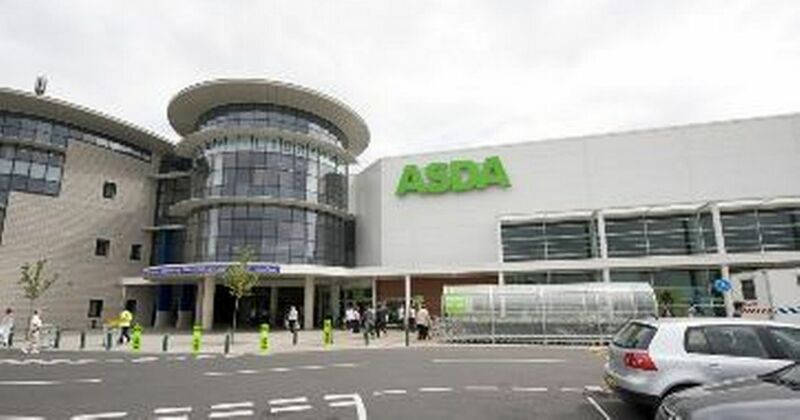 On the 26th May we will once again be at Asda in Chelmsley wood. On the day we will be selling bracelets and have all our information about the different services hat we have on offer at the Help Harry Help Others Drop In cancer Support Centre. At Help Harry Help Others we take your privacy seriously and want to make sure that you understand why we ask for certain information about you, how we use it and what we do with it. Data Protection legislation allows us to process this information as we regard it as being in the charity’s legitimate interest. Basic details about you, such as name, address, telephone number and email. We use a third-party provider, MailChimp, to deliver our newsletter. For more information, please see MailChimp’s privacy notice. You can unsubscribe to general mailings at any time of the day or night by clicking the unsubscribe link at the bottom of any of our emails or by emailing our Data Protection Manager. We use your information to keep you informed of events or fundraising opportunities that you’ve asked us to tell you about; to contact you if we need to obtain or provide additional information; to check our records are right. We don't rent or trade email lists. Usually there will be no charge for this and we will respond to your request within one month. Please contact, our Data Protection Manager. If you think any information that we hold on you is inaccurate or incorrect, please let us know. We are very proud to announce that the Royal visit has been rescheduled and HRH The Duke Of York will be flying to Birmingham Friday morning and then travelling just to come see Team Harry first thing at Harry’s Drop In Cancer Support Centre. Very much looking forward to having a meeting in my office with him, giving him a tour of our building and introducing him to the team that support me and Harrys vision. Yep, our H is bringing a royal to B33 not bad for a kid from sheldon hey? So last month you recall we gave £18,000 to support professor peet and his team via our HelpCURE fund which funds vital research. Today I had the pleasure of handing over £20,000 to solihull hospital as HHHO are very proud to sponsor not 1 but 4 chemotherapy chairs in their new cancer Centre opening in May. There is such a strain in Heartlands hospital cancer ward and this is a great step to support the increased number in cancer diagnosis and lighten the burden from wonderful nursing staff. In case you are wondering, we are still making a difference every minute of the day via the 14 services we provide from our own cancer Centre however working with other charities and services is HHHO signature to ensure cancer patients and their families get the best possible support where needed. Today we were joined by members of the PRYZM night club Birmingham team at the Help Harry Help Others Drop In Cancer Support Centre. Through collections in their club they presented us with a fantasic cheque for £5275. This week we welcomed into our Drop In Cancer Support Centre representatives from both a Child Of Mine and the Childhood Cancer Parent Alliance where we were able to show them the services we offer and discuss future plans for us all. This week we have been able to supply Irwin Mitchells head office in birmingham City Centre with themed bracelets to match their corporate colours. On Sunday 8th April we were proud to join up with our friends and supporters from LMI Birmingham at their Spring Camp. It all happened at Villa Park's 82 lounge, where the models could do their thing on the cat walk infront of all of the friends and families that attended. We were invited along as all of the modles had been seling bracelets prior to the event. We were delighted to receive a cheque on the day for just short of £2000. so a huge thank you to Channelle and all of the team for your great efforts. On Sunday 8th April 2018 our aazing supporter David Carver took part in the Paris Marathon..An amazing acheivemnt in itself until you read that davisd was diagnosed with Bowel cancer in 2014. Now given the all clear David is showing ditermination in wanting to help others. Prior to Easter our amazing friends and supporters from David Wilson Homes made a lovely delivery of Easter Eggs into our DRop In Cancer Support Centre. The night was a huge success hosted by Heart FM's Ed James and the Harry Potter Weasley Twins James & Oliver Phelps. During the evening we had great pleasure to be able to hand over a cheque for £18,000 to Professor Peet from Birmingham University research lab with a further commitment for a further 2 cheque's in the next two years . It's through your continued support that we are able to keep up with our commitment to "Help Cure". Phelps Twins make a visit ! It was a pleasure welcoming our ambassadors James and Oliver Phelps to the Drop in cancer support centre this afternoon. We've been discussing plans for our forthcoming ball at the ICC on March 24th which James and Oliver are hosting for us. Last week we visited our great friends over at Chelmsley Wood Shopping Centre, We have been chosen as the centres charity of the year and it was great to meet up with them and hear of their great plans for the year and how they will be raising money for us. Thanks to everyone involved and we look forward to a very busy 12 months. #Challenge18 starts with a Dance ! At our grand opening Harrys mom Georgie launched #Challenge18 starting a year of challenges.. asking all of our supporters to take part in a challnege in the next year involving the number 18. Maybe its a walk of 18 miles.. a swim for 18 lenghts or eating 18 cakes. Tonight Georgie started her challenges with a challenge set by our supporters at David Wilson Homes. Georgie was challenged to take part in a dance routine and it was chosen to be the iconic end dance from Dirty Dancing. Including in a ladies night Georgie surprised the guests by doing her best "Baby"
If you would like to take part in a #Challenge18 just call us on 0121-783-5407 for more information. Today we opened our brand new Help Harry Help Others Drop In Cncer Support Centre in Midland Croft. We welcomed in our amazing supporter and ambassador Ben Shephard who cut the ribbon today on what would have been Harrys 18th Birthday. Harryz Young Starz Finale ! Yesterday afternoon we had the pleasure and privilege of gathering all of our Harryz Young Starz award winners together for the final Presentation Dinner. Our thanks have to go to our award partners and amazing supporters at Hogarths Hotel for putting on a tremendous day for all our winners and their families. Massive thanks also to our Award sponsors GT Access, Guest Motors, Carillion, One design and Print, Baldwins Accountants, Gowling, Touchwood and Spark Media for your help and support over the last year and your belief in our young people and the awards . The Presentation dinner was wonderfully presented as ever by our supporting friends from BBC WM Foxy & Giuliano. We also have to thank the wonderful people from Solihull Fireworks for putting on an amazing display for our award winners at the end of the evening, the afternoon topped off with a lovely surprise visit from Father Christmas too. We are truly overwhelmed by the support from #DavidWilsonHomes.Following their recent Sportsman dinner with Kevin Keegan We have received £20,708 received Thank you to all the team and their lovely guests. Santa's Wish Is Launched !! Birmingham based Help Harry Help Others and local author Samuel Langley-Swain are joining forces to raise vital funds for the charity through the sale of his new book Santa’s Wish, while encouraging children to think of others this Christmas – in the spirit of Harry’s legacy. This new Author/Charity partnership starts on November 30th and aims to celebrate Christmas as the perfect time to inject a little bit of hope, magic and optimism, the kind that Harry was so well known and loved for. Santa’s Wish is Samuel’s first children’s story book, which he has self-published, after being inspired by his journey in to parent-hood and his adopted children. “My world changed when I became a Dad. Now, I am continually amazed by the challenges my children (and many like them) face in their daily lives and these are the inspiration behind my stories.” says Samuel. The partnership with Help Harry Help Others will help support the on-going fundraising efforts of the charity, with 50% of the proceeds from every book sold going directly to the charity. The resounding positivity that surrounds Santa’s Wish has subsequently spurred Samuel to pen three more children’s titles which will be published in early 2018, each one helping to unravel complex issues for young readers. Saturday 24th March 2018 is the night that we are hosting our annual Harry's Ball. In what would have been Harry's 18th Birthday year we really are pulling out all the stops to make sure its a ball to remember. Its going to be at the ICC in Birmingham again with a night of surprises ahead. This morning we welcomed a new visitor to the Birmingham Drop in cancer support Centre. Pictured here with Harry's mom Georgie is Larysa. Larysa has traveled to see us all the way from the Ukraine where she appeared on a Surprise Surprise style programme and it was her wish to come and see the work that we do here having lost a child herself through Cancer and is working with cancer patients back home. It has been lovely hearing Larysa telling us about her work and being able to share #HarryLove with our new friend. This evening we wanted to send out our huge thanks to all of our friends and supporters at Hogarths Hotel in Solihull. On Friday evening they held a Haunted Halloween Evening with craft stalls and a magnificent firework display, supporting us here at HHHO. It was lovely reading all of the great comments and seeing everyones pictures from what looked to be a spookingly brilliant night. We start this Monday evening by sending out huge thanks to two amazing groups. Last week Harrys mom Georgie was invited to meet up with our friends and supporters from TSB in Longbridge, They have chosen Help Harry Help Others as their charitty of the year and presented us with an amazing cheque for the fundraising they have done so far, we look forward to working with you over the new#xt year and thank everyone at the branch for your brilliant support. Last Thursday night we were so pleased to be invited to the Solihull Chambers awards evening where we managed to raise over £3000 during the evening. Huge thanks to all the volunteers that helped us on the night and Joan and everyone at the chamber for your much valued continued support. If you are looking for a charity of the year to support please get in touch with georgie@hhho.org.uk and we would love to have you on board. A great afternoon at TSB #communitycharity event amongst other great causes. Even though they are the other side of Brum I'm humbled by the staff at Longbridge who chose us for a second year as their charity. Here is a cheque for recent events plus another cheque for £100 presented today. We are pleased to be able to announce that Ian rogers has joined the team as a Trustee of help Harry Help Others.Ian has been a valuable supporter of HHHO since we opened. Joining in on charity events like cycling for Harry and organising Summerfest hes been dedicated to HHHO and Harrys mom and the rest of the trustee board are delighted to have him on board to support the vision and the planning for the charity. Wow absolutely blown away by the figure raised by the amazing #hhho3peaks team a staggering £13,215 raised by a great team...... thank you everyone involved and for the special award for harry. Each and everyone of you achieved so much and its with your support we can continue to help others. Where does time go? It's our 5th Birthday and harry would be well proud! 5 years ago today I nervously opened the doors to the public as we launched HelpHarryHelpOthers as a registered cancer charity. Today I'm reflecting back to the journey that has not only dominated my life since 26th September 2012 but actually since Harry started it back on 1st July 2009 following visiting his special friend robert Harley in hospital. During this time my family have been through the most painful and indescribable heartbreaking journey through losing the most precious thing in our lives and still to honour Harry's memory and his passions and dreams to hhho we have dismissed our own feelings or worked through the pain to try and focus and put the vision in place to help other families where we felt so many gaps and frustrations. We miss him everyday and life is still very lonely and dark without him. I look back at opening our shop and now look at how far we have come in terms of the services we offer. I admit at times I question what I'm doing as now I run not only a cancer charity but also a cancer drop in centre .....and it's hard, tiring, and all so serious and at times is like reliving Cancer every day. However I'm still Harry's mom and very motivated by him, his desire to help and also by the here and now - the patients that need our support and help. They now have Somewhere to turn to to receive the urgency, the understanding and the empathy. I'm so so proud of all that Harry's created, what I've continued to create since he passed and all those people behind us that together help us as a team strive to offer an excellent unique service. I know myself we can do things a whole lot better and I intend to ensure me and my team continually strive to improve all. I have the vision for the next 5 years crystal clear in my mind and on paper which I will continue to strive towards so that more people can be helped. When I set Harry's charity up all I ever wanted to do was the best I could do as Harry's mom and in honesty I didn't anticipate us being here 5 years on. To think we've given just under £900,000 to helpCURE, HelpCOPE and HelpCARE plus we have done 3 respite renovation projects and from what was an idea - put into place the vision of a drop in cancer support centre which now helps over 400 families and it simply overwhelms me. We have also broken a world record and launched a la annual kids awards #harryzyoungstarz. it's been physically , emotionally and mentally draining but I wouldn't have it any other way until there is more support offering immediacy supporting the mental wellbeing of cancer patients and their families. That said I hope the next 5 years I can find the time to rediscover my own personal happiness. We are 5 today, we are stronger than ever with a clear vision for the next 5 years and all this is possible because of every single person who has believed in Harry's dream to HelpHarryHelpOthers! Thank you all for helping us #makeithappen and for reaching our 5th birthday which not many personal charities do. Here's to the next 5 years and achieving goals that will benefit even more families. WE DID IT! As you know 9.15pm Thursday night we set off at Ben Nevis to start our #threepeakschallenge again due to bad weather on snowdon during the original challenge. Well last night at 3.25am we completed all 3 mountains (second attempt in two weeks). This took in total just under 30 hours with 6 and a half hours climbing time on Ben Nevis in the dark, four and a half hours on scarfell pike with severe weather and 6 hours up and down snowdon once again in the dark with severe wind and mist. Me and the team are totally exhausted but al safe and sound other than a couple of people really struggling with their knees. Thank you everyone for your support and very PROUD to say we completed this. Thank you to each and everyone person that took part, donated or climbed over the 24 hour period you are all equally amazing. WOW!! we had a visit on the 23rd September from Solihull Pop Chorus who presented us with a cheque for a fantastic £5196 following their recent fundraising efforts. Thank you to each and every single one of you for your support, it means so much to us here and to everyone that we continue to support. In case you missed our great news last week, we have received a #NationalLottery #BigLotteryFundgrant, this grant will be used for a new education for carers facility starting in February next year. The training facility will be beneficial not only to ourselves but to other groups that use our Cancer support centre for future training projects. We would love to pass on our huge thanks to the Lottery for believing in our vision to offer more support for carers. An evening with "Villa Legends"
Can you help save a free lifeline service provided to our Cancer patients in the heart of the community? Our Drop In cancer support centre is about to be demolished due to land regeneration by the local authorities. Our centre currently services and supports mental well being of adults and children affected by any type of Cancer and their family and friends whom wont have a service if we do not raise funds for another building. In December 2017 the local authority want us to vacate our 'home from home' building that supports so many families due to land regeneration. We are provisionally looking at holding a sponsored fire walk event in 2017. So far we are looking at numbers of those interested. Are you looking for a challenge to really push yourself in 2017 ? Next year we are looking for people to join the #TeamHarry Runners !! This year has seen dedicated and first time runners taking part in events up and down the country, with distances covered varying from a mile up to a full marathon distance and further..
Have you always wanted to experience crossing the finishing line hearing the cheers around you ? Well it's finally that time of year when we get to invite you to our most spectacular event of the year. Harry's amazing ball is here once again, so put the date in your diaries 1st April 2017, get your cheque books out and book your table today. The assembley rooms in Solihull are holding a silent disco with all funds raised on the evening coming to HHHO. Viva Brazil lends a helping hand ! Viva Brazil the award winning Birmingham based restaurant has pledged to raise £2000 for Help Harry Help Others throughout the month of November. The Bennetts Hill based restaurant has to date already raised over £1000 through the dine and donate scheme, which allows diners to pledge a £1 donation for each table sat during the whole of November. Our great friends from the Art Of Football have come up with this unique goal celebration picture. Arc to Arch Completed ! Following the Arc to Arch challenge in August we can now confirm that the group raised a fantastic £4,811.25 once again our huge thanks go to Martha, Phil, Ollie and Phil you are all amazing. Following last months massive John o Groats to Lands End challenge I am pleased to confirm that Chris George, Luke Troth, Alex Hill, Richard Freeman and Nick Wolverson managed to raise a fantastic £4,292.33. Well done all you are truly amazing. Huge thanks also go to Nicole's Freelance Hairdressing for giving up your time and skills to cut the girls hair into a lovely style. The 21st September once again saw the annual Sirius Buying Groups Awards evening taking place at the Forest of Arden Hotel. Funds raised on the night were donated to HHHO and they totaled £10,000 thank you so much to the group for supporting us once again your donation will help us to continue helping many many families. Wow!! with thanks to the lovely Ramesh who did some amazing fundraising earlier in the year our second group of clients traveled to London in style on the 'Harry' coach supplied by Travel de Courcey. The group then enjoyed a 3 course meal at Chiquito's restaurant in Leicester square and finished the day off with a trip to the Novello Theatre to watch the awesome Mamma Mia show. A great day was had by all that attended and once again our thanks go to Ramesh for his fundraising because without supporters like you this would never happen. 13th September again saw Georgie on a #Challenge16 event, this time she was sent to the slammer!! With the help of Staff from Stechford Police Station and the use of their disused custody suite we arranged for Georgie to be arrested and locked up for charity. With a £500 bail set the challenge was on. With nothing but herself Georgie spent a few hours behind bars but did indeed managed to raise and beat the bail and raised a fantastic £873.26. Our thanks go to the team at Stechford for all of their help and TeamHarry for organising it. Thanks for being a good sport Georgie. The 10th September saw Mark Gregory and Tony McCracken take on the 12 mile Tough Mudder course. This challenging obstacle course is designed to test your strength, stamina and mental grit, a fantastic well done to both of you on your achievement and thank you so much for raising a total sum, of £457.50 for HHHO. Friday the 9th September saw our very first Quiz and Curry night here at the Cancer Support Centre, organised by our very own Quiz master Jon. With 40+ people in attendance we managed to raise £120 on the night. Thank you all for attending and we hope you had a great evening. 4th September saw Georgie take on the Wolf Run as part of her 16 challenges throughout 2016. Covered in mud and bruises Georgie completed the challenge and raised £186 on the day. Well done Georgie keep up the great work. 4th September saw one of our amazing supporters Brian also take on the Wolf Run where he battled against the mud, the water and the cold to complete the 10k course for HHHO. Brian managed to raise £200 for Help Harry to help us continue helping others in their time of need, well done Brian on your fantastic achievement. On 26th August 2016 until 4th September Our good friend Chris George and his team of Richard , Simon , Luke ,Nik and Alex will be cycling from John O Groats to Lands end which over 10 days equates to over 960 miles on a bike. The guys are all riding for us here at HHHO and we really do wish them the very best for this epic challenge . Huge thanks to our amazing supporter Ramesh who following his recent Golf event very kindly took our Centre Clients to Milano's Italian Restaurant followed by a trip to The Hippodrome in Birmingham to watch the amazing Mamma Mia, every client had an amazing time and there were even a few wet eyes at the end of the night. Once again thank you to everyone that has sponsored or donated to Ramesh you are all helping our clients through some hard times. Solihull to get first music festival and look who is on the bill!! UB40 are to conclude their European summer festival tour by headlining the first Solihull Summer Fest in Tudor Grange Park. Other acts confirmed or the weekend include The Voice winner Kevin Simm, 5ive, S Club Party and The Wonder Stuff. Each day will run from noon till 10pm and all proceeds will go to the Help Harry Help Others fund, the local cancer support charity set up in memory of the late schoolboy Harry Moseley who died in 2011 aged 11. The two-day event will be held on the August Bank Holiday weekend (Saturday, August 27 and Sunday, August 28) and with 5,500 people expected per day organisers hope the total raised will top £75,000. UB40, who recently returned to their Red Red Wine video scene at the Eagle & Tun pub, are currently on tour in France before returning to fire the starting gun for the Great Birmingham Run 10K on May 1. But a band spokesman said: “We are looking forward to headlining the Saturday night of the first Solihull Summer Fest . Harry’s mum, Georgina Moseley , joined host Phil Upton for a launch event at the Ramada Hotel in Solihull. Sponsor packs are available and volunteers are also needed to be stewards and for cleaning and visitor hospitality roles. UB40 are also recording a new album through Pledge Music which enables those who pre-order to receive exclusive access to recording updates, bonus content and video. Nathan Moore – lead singer of 80s’ boyband Brother Beyond and 90s’ boyband Worlds Apart. A day of Indie, rock and roll and acoustic music. The main headline act is still to be confirmed. One day entry either Saturday or Sunday: adult £30, child (under 15) £20, under fours free. VIP adult £100. Family pass (two adults, two children), £90. Weekend tickets: adult £50, child £35. Family pass (two adults, two children) £150. Molson Coors will be stocking bars and food vendors will include burgers, Thai, street chef, vegetarian and coffee. Visitors will not be able to take their own alcohol, food or drink on to the site. Fundraising mum Georgina Moseley said she needs a “new back, new hips and new ankles” as she completed a rollerskaterthon in memory of late son Harry, on what would have been his 16th birthday. Georgie, 41, started the mighty task at midnight - despite fracturing her coccyx last month - she then rollerskated for 16 hours. In one video she said: “I need a new back, new legs, new hips, new ankles. I have got blisters on blisters, but no pain no gain. Georgie, of Sheldon, is raising money for the Birmingham Drop in Cancer Centre that she runs in Kitts Green. She previously told how she had fractured her tailbone during a training session ahead of the challenge. She said: “My skates got tangled into a football net and I fell onto my bum full throttle. It really hurt but I was in the middle of training so got up and carried on for another two hours. The centre opened in May as part of the Help Harry Help Others (HHHO) cancer charity which was started by her son, who died in 2011 after battling a brain tumour. Throughout this year Georgie is asking people to do something around the number 16 to commemorate Harry’s birthday. Our 'Charity of the Month' blogs are a celebration of the great work local charities do across Britain. Through our 'Local Charity Partner' programme, we work with a diverse group of nearly 500 local charities - and one of those is Help Harry Help Others (HHHO). HHHO is a cancer research charity launched by Harry Moseley - a brave boy from Birmingham once described as 'Britain's kindest kid' and who tragically lost his battle with brain cancer in 2011. Since it started in 2009, HHHO has raised more than £750,000 to fund research into curing brain tumours. Last year, HHHO became one of the Local Charity Partners for our Sheldon office in the West Midlands and around £6,000 was raised throughout 2015. Earlier this month, we caught up with Harry's mum, Georgie Moseley, who runs HHHO. What do you love most about your work with HHHO? I continued with Harry's great work due to the lack of support out in the community for cancer patients and their families which we sadly found out first hand. I am so proud that as an average working class family we have been able to address these issues to ensure that families have more support outside of hospital and hospices. Harry proved that regardless of age, wealth, lifestyle and well-being you really can make change and it's this that drives me every single day to ensure people have the support that really should have already been there! What are your hopes and goals for 2016? Definitely to reach out to more cancer patients and their families so that everyone is aware of our newly opened Drop-In Cancer Support Centre which opened in 2015. Whilst 2015 was our proudest year in terms of the services we can now offer, it has also been our toughest year in terms of income generation. As a tiny charity we now need to ensure we keep the support so that we can keep spreading the #Harrylove. What has been your favourite fundraising event or activity? Wow, we have had so many fundraising events and I am continually doing events as it is what raises the money to keep us going. My favourites have to be the community events with the real people on the street. Strange as it sounds I love having a Harry stall outside the supermarkets just sat there selling Harry's bracelets and talking to the community. It's something me and Harry used to always do together and it's an important part of what HHHO now do. It's the bread and butter if you like to keep the money coming in. Yes we do big events like the annual charity ball, but I'm a down to earth girl from Sheldon and community is very important. What does local charity mean to you? Local charity is extremely important. Harry supported some amazing large charities however sometimes it all gets a bit too corporate and business like. HHHO will never grow to that point and if I'm honest I don't want it to. For me as Harry's mum it's important to keep it personal, ensure we have the time and empathy for our cancer patients rather than it becoming about stats and targets. The vision I have for HHHO to grow is to ensure that the more cancer centres we open, they are all run by someone in that community that has lived and breathed cancer and understands what support is needed in their community. How has TSB helped HHHO? TSB has offered phenomenal support to HHHO. Not only in terms of financial support to the charity but also in terms of awareness. It's so nice to know that TSB also believe in our cancer centre and thanks to their sponsorship of our admin office, which is the hub of the centre where we co-ordinate all the services, we have been able to ensure we have the right equipment in order for us to function and run the centre. I'm truly humbled that a small charity like ours gets the backing of such a big organisation and it's been my honour to work with TSB staff - I cannot thank them all enough! A KIND-HEARTED teen has said goodbye to his flowing shoulder-length hair after being inspired by the tale of Harry Moseley whose story touched the nation during his four-year battle with a brain tumour. Elliott Griffiths, who has raised more than £280 so far on his Just Giving page, braved the clippers on Saturday (January 16) at The Groom Room Barbershop at Imogen’s Hair and Beauty Salon in Headless Cross. The decision came after a throwaway comment on Facebook, where the 19-year-old promised to cut his hair for charity if a status got 50 ‘likes’ on the social networking site. After more than 60 likes the Winyates Green teen – who is currently studying at the University of Sunderland – agreed to get a buzz cut. “I’ve been growing my hair for three years,” he said. “I’ve always found Harry’s story inspiring and as it’s a cause close to my heart it really touched me. Both Elliott and his hairdresser, Amy, donated their chopped locks to the Little Princess Trust which provides real hair wigs, free of charge, to children across the UK and Ireland who have lost their own hair due to lifesaving treatment. You can still help Elliott help Harry by visiting https://www.justgiving.com/helpelliotthelpharry/ where you have until Monday (January 25) to donate. IT is a truth universally acknowledged that many hands make light work. And beloved local charity Help Harry Help Others (HHOH) found this to be true when over 1,000 UPS employees from across the country put their hands to good use to make almost 20,000 of the charity’s trademark bead bracelets. As part of one UPS’s largest charitable campaigns in the country, more than 1,350 employees enlisted the help of friends and family to make as many bracelets as possible over the month of June. The bracelets, which are expected to raise £40,000 in donations for the charity, help raise awareness of brain cancers and raise funds for research. Speaking about the challenge, Sharon Hauber, HR Director UPS Ltd., said: “At UPS there’s a culture of supporting the communities where we live and work. Help Harry Help Others was inspired by Harry Moseley, who tragically died in his mother’s arms, on October 8, 2011, after a four-year battle with a brain tumour. The Blakenhale Junior School pupil made and sold beaded bracelets in memory of a friend he made in hospital and to help raise funds to find a cure for cancer. And even as the 11-year-old’s health deteriorated, the youngster continued raised money for Cancer Research UK through his campaign Help Harry Help Others. Now Harry’s legacy lives on through the work of his devoted mother, Georgie, who works tirelessly to keep the charity going from strength to strength. Describing the charity as being ‘overwhelmed’ by the support it received from management and staff at UPS, Georgie Moseley, Founder of Help Harry Help Others, said: “Everyone has really embraced the work of our tiny cancer charity and as a result their hard work, time and effort has made a huge impact on the work we deliver. “Not only in terms of output and money but also in terms of awareness for all we do. A group of soccer-mad Aston Villa fans are gearing up for a long walk to Wembley Stadium later this month – all in aid of a good cause. Mark Haden, aged 43, from Great Barr, is leading a troop of fans from Villa Park on Tuesday, May 26 who will be heading down to the capital in time for Aston Villa's FA Cup final clash against Arsenal that Saturday (May 30). Mark is part of a collective of AVFC fans from across the city who walk to the club's final home games of each season to raise money in memory of Harry Moseley, the 11-year-old boy from Birmingham who was diagnosed with an inoperable brain tumour – yet managed to raise more than £650,000 in the space of two years in the hope of finding a cure for other families in need. He died in 2011 following complications from an operation. The group had never met before they got involved in the fund-raising a few years ago. So far the fellow walkers include Andy Day, aged 25, and Billy Morgan, aged 16, from Erdington, as well as 24-year-old Matthew Bradley from Castle Bromwich. In past years their challenges have included walking 150 miles to Norwich's Carrow Road stadium in 2012, they took on a 98-mile trek to the DW Stadium, home of Wigan Athletic in 2013, and pounded 75 miles of pavements to get to the City of Manchester Stadium last year, where Villa faced Manchester City. This time it is a 150-mile journey to the home of English football. "We do this as Harry Moseley was an inspirational boy who raised so much money by selling bracelets raising a huge amount in the fight against Brain Cancer and to continue that fight in hope of finding a cure," Mark told the Observer. "We would appreciate any support that could be given, as all the expenses like hotels etcetera are all paid by ourselves." You can sponsor the group by visiting their JustGiving page at www.just giving.com/walk2wembley, and check out the group's progress by visiting their Facebook page, Walk 4 Harry. HELPING people with cancer has always been at the heart of Help Harry Help Others (HHHO) since it was set up by inspirational youngster Harry Moseley. And since Harry's death in 2011, his memory and good work has gone from strength to strength - gaining charity status and campaigners have also continued to raise funds to help people with cancer. However, despite all the work done so far, Harry's mum Gerogie wanted to do more for cancer patients and their families, allowing them to spend much-needed time together. Which is why she created the Help Harry Help Others Drop-in Cancer Support Centre. Speaking to The Observer this week Georgie said: "I knew something had to be done and literally lay in bed thinking of how we could create something that would give families the support they rightfully deserve with the right level of empathy in their situation all under one roof." Georgie said she knew too well what it was like trapesing around different organisations trying to sort things like homelessness and finances out so she wanted to create a haven of hope where people could drop into for help. She added: "The lightbulb moment of pulling all the services and support that a family may suddenly require due to a cancer diagnosis came to me. "The creation of A Birmingham based Drop-in Cancer Support Centre that would have everything onsite under one roof. "Whether people just want a cuppa because they are having a bad day and feel isolated once away from hospital or they are experiencing difficult times due to the sudden change in circumstances we aim to give them as much support as possible and help them manage their situation so that they can focus on the most important thing getting through treatment and just being a family." The news of the Drop in Centre, which will be based on Meadway in Yardley, was announced on Sunday (February 22) - which would have been Harry's 15th birthday. Georgie and the team are planning on having a number of events and help at the HHHO Drop in Cancer Support and Wellbeing Centre including benefits advice to support groups for families and patients, craft groups to careers advice and wig and bra fitting for ladies. But getting the centre up and running will be a challenge and Georgie is calling on businesses to help make the place feel like home. She said they need electricians, plasterers and interior designers to help get the place looking right and after that they will be looking for volunteers who have been in a similar situation to help support families and patients during their fight. A Birmingham charity started by a brave Sheldon schoolboy who tragically lost his battle with brain cancer has donated over half a million pounds in less than two years. Help Harry Help Others (HHHO), named after Harry Moseley who died in October 2011 aged just 11, has distributed £500,000 to worthy causes across the city. The cash was raised over the past 20 months through a raft of fundraising activities, including bucket collections and the sale of beaded bracelets. Generous Harry raised money to help others while suffering from cancer himself by making and selling bracelets online. His supporters have continued to make the bracelets for HHHO after the schoolboy passed away. The charity has also worked alongside local businesses and sponsors to raise money. The half a million pound pot has been shared across the charity’s three strands: Help Care, to fund professional support for children with cancer, Help Cope, to provide practical help to families affected by cancer, and Help Cure, to find a cure for brain tumours. Among the recipients are more than 270 families who have received a total of £67,000 through the Help Cope fund, which offers direct financial support, from grants for petrol to help with funerals. Over £100,000 has been put towards the building of the new Harry Moseley Centre at St Mary’s Hospice in Birmingham and a further £78,000 to the QE Hospital Cancer Centre to create a paediatric recovery room. The John Taylor Hospice in Erdington has been granted £60,000 to fund family care services. Georgie Moseley, Founder of HHHO and Harry’s mother, said: “This is such a huge achievement for us all at Help Harry Help Others. The charity has hopes of replicating its success this year and is already at work raising money to help more families. THE NEC Group has raised more than £21,000 for its employee-elected charity of the year, HelpHarryHelpOthers. Georgie Moseley, chairman and founder of HHHO, visited the National Exhibition Centre to receive the donation of £21,489.27 and was presented with a cheque decorated with beads like those used to make the ‘Harry bracelets’ the charity is famous for. Employees from across the NEC Group raised the money through a number of fundraising activities, including making and selling bracelets, cake sales, a tuck shop, fun days, a quiz and contributions from staff ticket sales. Hundreds of people enjoyed a fun-filled festival of activities organised in memory of well known fundraiser Harry Moseley. Merry Hill shopping centre welcomed families to the HarryFest event. Activities and games took place on the converted car park outside Eat Central at the Brierley Hill mall. Harry Moseley, who lived in Birmingham, died aged 11 from an incurable brain tumour in 2011. During his battle with the disease he set up the charity Help Harry Help Others and raised more than £600,000 for cancer research.His family has continued the work he started and this weekend’s event is part of the ongoing fundraising drive. were entertained with a fun fair, a superhero-themed photo booth, live music, dancing, a roller disco, balloon modelling and face painting. Staff from various stores in the centre also donned fancy dress for the two-day event on Friday and Saturday helping raise money for the Help Harry Help Others charity. Hairdressers Jessica McKoy, aged 19, from Holly Hall, Dudley, and Jenna Fellows, 27, from Pensnett, Dudley, became superheroes to get in an the fun. Jessica said: "It is a good event and we love to dress up anyway so we absolutely loved it. We got some strange looks when going to get some food but overall it was great." Harry'smother Georgie Moseley attended the event with her partner Brian Blackwell who are doing a bike ride as part of a fundraising drive for the charity. The legacy of inspirational schoolboy Harry Moseley was shining as a further appeal involving a Guinness World Record attempt in his name was unveiled. Schoolchildren, shoppers and staff from Martineau Place will join Harry’s mum Georgina as they try to build the largest bracelet ever in honour of the inspirational fundraiser. The plan is to ultimately build a big enough bracelet to wrap around the shopping centre, which is home to more than 30 retailers in the city centre. Harry, from Sheldon, died on October 8, 2011 in his mother’s arms after a four-year battle with a brain tumour. He had been in a coma at Birmingham Children’s Hospital for three months after the tumour grew by 50 per cent and he underwent major brain surgery. Despite his health deteriorating, the 11-year-old raised half-a-million pounds for Cancer Research UK through his campaign Help Harry Help Others by making bracelets. His family have now continued his hard work, funding vital research and supporting families in financial hardship so they can focus on their loved one. The charity also gives back to the next generation of children by offering free workshops and schemes that help children tap into their own passions in life, and supports services providing end of life care, including hospices and nurses in the community. Harry's Mum wins West Midlands Woman of the Year! Harry's mom was recently nominated for City and Styles 'Woman of the Year Awards' due to her efforts in turning her son's Campaign HelpHarryHelpOthers into a registered Charity following his passing in 2011. Georgie Moseley who founded the charity after Harry lost his battle to a brain tumour in 2011 has worked tirelessly to not only form a charity that supports families every step of the way through their journey but also created various children's initiatives to continue to inspire young people through Harry's story. In just over twelve months the charity has formed 3 funds HelpCure (funding research), HelpCope (providing financial grants to families suffering from financial hardship as a result of a Cancer Diagnosis) and HelpCare ( providing grants to other charities/services who provide core care for families during 'end of life treatment'.). As if this isn't enough Harry's story that inspired so many people globally and Georgie wanted to continue with Harry's message. As such she has pulled together a Schools social enterprise which she delivers in schools and now takes Harry's story into Young Offenders Institutes to help rehabilitate young offenders. Georgie said " I am really overwhelmed and shocked to be nominated, never mind to win the overall award. For me its not about awards but making a difference to all people who still have hope. Cancer is a difficult journey and its only through working as a team we can make change. I dedicate my award to all those families living in hope and of course my amazing son who is still my hero'. Harry's mum launches the inaugural 'Harryz Young Starz Awardz' celebrating Kids that do Good! Following the launch of various initiatives to continue inspiring young people through Harry's Story including the Schools Social Enterprise, free kids workshops and the work to rehabilitate young offenders. Harry's mom Georgie hasn't stopped there. Georgie Moseley launched the Harryz Young Starz Awardz in partnership with South and City College and Birmingham Mail which will recognise individual children in an array of areas. The inaugral awards will recognise kids involved and doing good in all areas of life and the categories include:- Community Charity Award, Young Carer Award, Bravery Award, Selfless Award, Harrys Hero Award, Best friend award and there will be an overall 'Harrys shining star award'. Georgie says "kids go above and beyond being an average child every single day. As a nation we should acknowledge and recognise those that are simply amazing. Not just those that enter into charity work but some kids are put in terrible situations and yet like Harry they achieve great things or turn into selfless adults overnight. For us as Harry's Charity this is a way of us giving back. Its not a fundraiser its simply about the amazing youngsters. The children of today are our future tomorrow and will be running the country. So many kids do great but we as a society focus on the negative and give kids bad press. Only we can change this and I intend to! Harry taught so many kids that regardless of your age, wealth, lifestyle and well being you can achieve anything in life if you are passionate. With that in mind his story has inspired thousands of kids globally. I am extremely proud of the Awards and I intend to grow it into a national event every year so we continue to inspire our next generation"
The awards will take place at South and City College on Friday 28th February at 11am. On Thursday 30th January staff from Birmingham St Mary’s Hospice were joined by Georgie Moseley, Founder and Chairperson of Help Harry Help others for a progress tour of the Harry Mosely Family Centre. The tour was a chance to view the progress of the project since work commenced in October 2013. It was funding of £100,000 from Help Harry Help Others that enabled this much needed addition to the Hospice’s existing facilities to go ahead. This support is in addition to major funding from the Department of Health’s Grant Programme for Hospices. The Harry Moseley Family Centre will be a comfortable, multi-purpose space offering families the privacy they need during a difficult time, but with the safety of 24 hour care from the Hospice’s specialist medical team. It will be fully accessible from the existing in-patient ward, flexible enough to accommodate the needs of multiple families or extended family members, and have its own fully accessible garden. Georgie said; “I am so moved by the work of St Marys Hospice and the care it provides to hundreds of families every year. Help Harry Help Others feel very privileged and proud to help with the building of the Harry Moseley Family Centre which will undoubtedly have such an impact of families at a very difficult time in their lives”. The project is due for completion in March, so keep an eye on our website for details of the grand opening! Blues fans are being urged to dig deep for charity at this Saturday’s Nottingham Forest fixture at St Andrew’s when an army of volunteers from Birmingham based Help Harry Help Others will be leading the fundraising. The match-day collection for HHHO has been organised by the EZE Group Foundation as part of EZE Group’s diamond partnership with Birmingham City FC. Georgie Moseley, chairman and founder of the charity, joined Blues players Jonathan Spector and Tom Adeyemi to help promote the fundraising bonanza which will see around 25 volunteers out in force with collection buckets selling the iconic Help Harry Help Others bracelets. “We are so proud to be associated with Blues and can’t thank EZE Group and the fans enough for the way they have supported us in carrying on Harry’s legacy, said Georgie. “We know Christmas time puts a financial strain on everyone, but we want fans to think of other families who have been crippled by cancer. As well as showing their backing by purchasing a “Blues” bracelet, fans will have an opportunity to select from a range of other designs including a Christmas one which could make an ideal stocking filler. All cash raised will go towards funding vital research into brain cancer and supporting families of children living with all forms of cancer The charity’s mission to help cope, help care and help cure has touched the hearts of millions of people including young children. 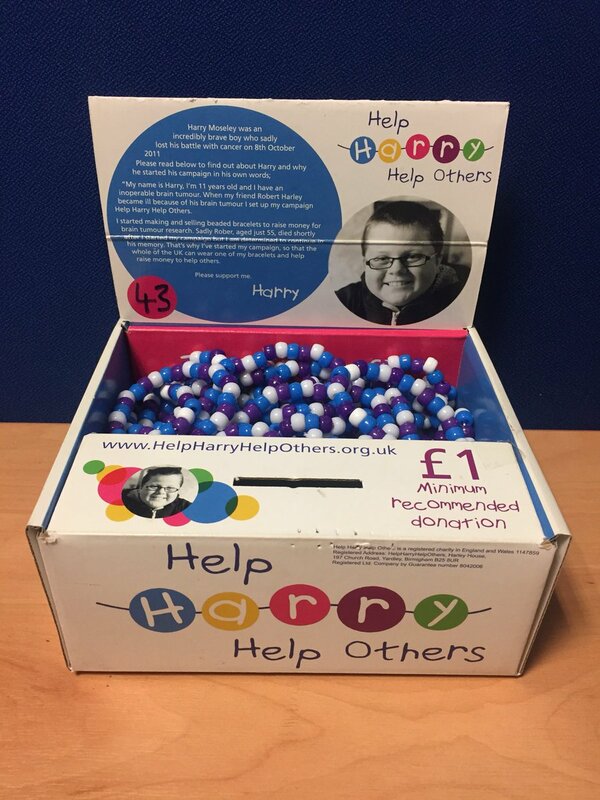 To find out more about the charity, please visit www.hhho.org.uk, follow them on twitter - #HHHO Day, @harry_moseley or like their Facebook page by searching for ‘helpharryhelpothers.’ Donations of £5 can also be made by texting Harry to 70800. Harry Moseley was an incredible young man who captured the heart of the nation with his campaigning to raise funds for brain cancer research, fundraising up and down the country with his famous bracelets. Despite suffering from a brain tumour himself, he was inspired to act following the death of his close friend and fellow patient Robert Harley, raising over £650,000 through his campaigning. Harry sadly died on October 11th 2011 after spending 14 weeks in a coma, and his passing was covered by all national media. · 1. Help Cure – raising funds specific to Brain Tumour research. Brain tumours have increased over 30% in the last 30 years and now kill more people under the age of 40 than any other cancer, and yet it only receives 0.7% of funding from Governmental Cancer research resources. · 2. Help Cope – the financial and emotional strain when any person is diagnosed with cancer has drastic effects on the whole family. We ease this by offering financial support, holidays, Christmas presents and day to day help for families of anyone suffering from any form of cancer. · 3. Help Care – raising money to support end of life care facilities and support services so that for all those who only have memories to leave, those memories are happier ones. “Harry achieved so much in his life. He inspired so many people to do more to help other people, bringing families and communities together. He was my best friend and I miss him every day, but I know he would want me to carry on his efforts, and to keep spreading the ‘Harry Love’. Today isn’t just about celebrating everything Harry achieved, but also about looking to the future and starting the next chapter in his story”. With celebrity supporters such as Duncan Bannatyne, Ben Shepherd and John Terry amongst others, Help Harry Help Others is set to become a leading figure in the Third Sector. Construction of a brand new family centre has started this week at Birmingham St Mary's Hospice. The work signals the beginning of an exciting new partnership between the Hospice and Help Harry Help Others (hhho.org.uk). The Harry Moseley Family Centre at Birmingham St Mary’s Hospice will enable families to stay at the Hospice to be with a loved one. This could be during a period of medical review; whilst medical staff manage the symptoms of an illness or assess a patient’s readiness to return home, or during the precious final days. Funding of £103,000 from Help Harry Help Others has enabled this much needed addition to the Hospice’s existing facilities to go ahead. This is in additional to major funding from The Department of Health’s Grant Programme for Hospices. The Harry Moseley Family Centre will be a comfortable, multi-purpose space offering families the privacy they need during a difficult time, but with the safety of 24 hour care from our specialist medical team. It will be fully accessible from the existing in-patient ward, flexible enough to accommodate the needs of multiple families or extended family members, and have its own fully accessible garden. The design for the brand new centre has been created by architect, Paul Hicking. GI Sykes, will carry out the construction of the building, working closely with Arc Project Management. #Celebfooty4Harry - the Total's in!!! Dragonboats breathe fire for Harry! #CelebFooty4Harry - Birm Mail tells the tale! #CelebFooty4Harry - the big day! #CelebFooty4Harry - more stars come out to play! Glynn Purnell has helped raise £5,000 for ‘Help Harry Help Others’ by donating his time to one lucky winner who got to sample his Michelin-starred cuisine in the comfort of their own home. Last year saw the first-ever Harry Moseley charity ball, which took place at the ICC and welcomed hundreds of the city’s leading business people gather together in the memory of the late Harry Moseley. As part of the event, which raised over £100,000 for Help Harry Help Others, Glynn Purnell donated his time to the auction and gave one lucky winner the chance to sample his award-winning cuisine in their own home. The prize included a four-course meal for six people to be prepared and cooked by him in person at the home of the highest bidder. Jo-anne Till and Jonathan Till, of GT Access, won with a £5,000 bid and welcomed Glynn and his team into their home. Unable to decide who to invite, Glynn agreed to cook and serve a sumptuous Sunday lunch increasing the party up to 10 guests. “I have been extremely impressed and humbled by everyone’s efforts and how Harry’s fundraising legacy has continued with the official launch of the Help Harry Help Others charity. “It is vital we continue to raise awareness as this is what Harry started and what he truly believed would make a difference. It is brilliant that a local Brummie lad managed to achieve this, helping so many others along the way. Glynn cooked up a four-course storm for the Till family, consisting of ham hock with escabeche winter vegetables and taste of British seafood. This was followed by Dover beef with confit potatoes and green puree, and a burnt egg custard surprise to finish. “What a fantastic way to spend your Sunday in the company of such lovely people, Glynn & his team were an absolute joy to have around. Glynn was such a friendly guy, he made everyone feel that they were part of the day giving all the guests tips in the kitchen and letting everyone help with some element of the preparation, if they so wished. The food… well that was nothing short of amazing. The Harry Moseley charity ball was organised by local businessmen, PJ Ellis and Tim Andrews, who were both inspired by Harry Moseley. The duo knew that Birmingham had a lot to thank Harry for and decided that a glitzy charity ball would be the best way to remember him. They organised, what many people have claimed to be the ‘Charity Ball of the Year’, which raised £100,000 for the Help Harry Help Others charity. For more information, visit www.HelpHarryHelpOthers.org.uk or email harrysball@hhho.org.uk. Aegon Classic...it's official they are now #TeamHarry! HHHO is proud to be the official charity partner of the Aegon Classic tennis tournament, which features some of the world’s top female players Edgbaston Priory Club from 9-16 June. With rising British stars Heather Watson and Laura Robson both competing in the 2012 alongside other world-class players including Daniela Hantuchova, Sabine Lisiki and Jelena Jankovic, you can be assured an all-star field. There will also be the Centre Court Grand Opening on Sunday 9 June, where a special exhibition match will take place involving two greats of the game. Come down with the family and try out tennis for yourself before watching the stars in action. Access to the grounds is free on this day, with adult centre court tickets costing £15. Today we are so pleased to announce that Birmingham's incredible Tennis event, the "Aegon Classic" at Edgbaston has partnered Help Harry Help Others. There will be lots more news on the event and how you can come along and enjoy the incredible occasion...so stay tuned!!! The Midlands’ largest international tennis tournament, the Aegon Classic, is tasking school children to help design a new Tournament mascot. Arty children across the West Midlands are being urged to get involved in a school art competition to design their very own tennis mascot and support fundraising for local charity, Help Harry Help Others. Staged in the heart of Birmingham, the Aegon Classic is one the of the UK’s major warm-up tournaments ahead of The Championships, Wimbledon. Offering the chance to see some of the world’s top international female tennis players, this prestigious tournament is returning to Birmingham’s Edgbaston Priory Club from the 9th to the 16th June . As well as seeing their design displayed at the tournament, the child who draws the winning picture will also be a mascot at the Grand Opening of the new Centre Court on Sunday 9th June standing alongside two great champions of the past. Not only that, but the winning child will also win tennis equipment for themselves and their school. A further four deserving runners up will also win tickets for their family (2 adults and 2 children) to attend on Sunday 9th June as well as an equipment pack for themselves and their school. To enter, children simply need to draw a picture of their mascot and write a brief description about their character, including any special powers they may have. Lawrence Robertson, Commercial Director for the LTA, said: “We know tennis is a popular sport with kids across the Midlands, so we wanted them the chance to get involved with an important year for the Aegon Classic as we open our new Centre Court for the first time. Georgina Moseley, Chairman and Founder of Help Harry Help Others said; “We’re really excited to have been announced at the Official charity for the Aegon Classic this year. We’re really looking forward to working together to continue to the inspiring work Harry started. The LTA, the tournament organisers and Help Harry Help Others will also select a second child who has been affected by cancer to line-up alongside the Legends to giving them a day they won’t forget. The judges will be looking for the most colourful and inspiring entries and the competition is open to children aged between 5 and 11 years old. Entry packs can be printed from www.aegonclassic.co.uk or requested from Aegon Classic c/o WPR, 43 Calthorpe Road, Edgbaston, Birmingham, B15 1TS. All entries must be received by Friday 22 March. The winner and runner-ups will be notified w/c 15 April. Tickets for the Aegon Classic go on sale Monday March 4. To book, visit www.aegonclassic.co.uk/tickets or call 0844 209 7359. Harry keeps on inspiring children! Harry has the run of the field! Harry’s ultimate dream was to start his own charity. Following his death and the ever increasing levels of public and media support, Harry’s family have decided to fulfil his dream and on September 26th 2012 launched Help Harry Help Others. The Charity aims to fund Brain Cancer research programmes and support families on their own cancer journeys. 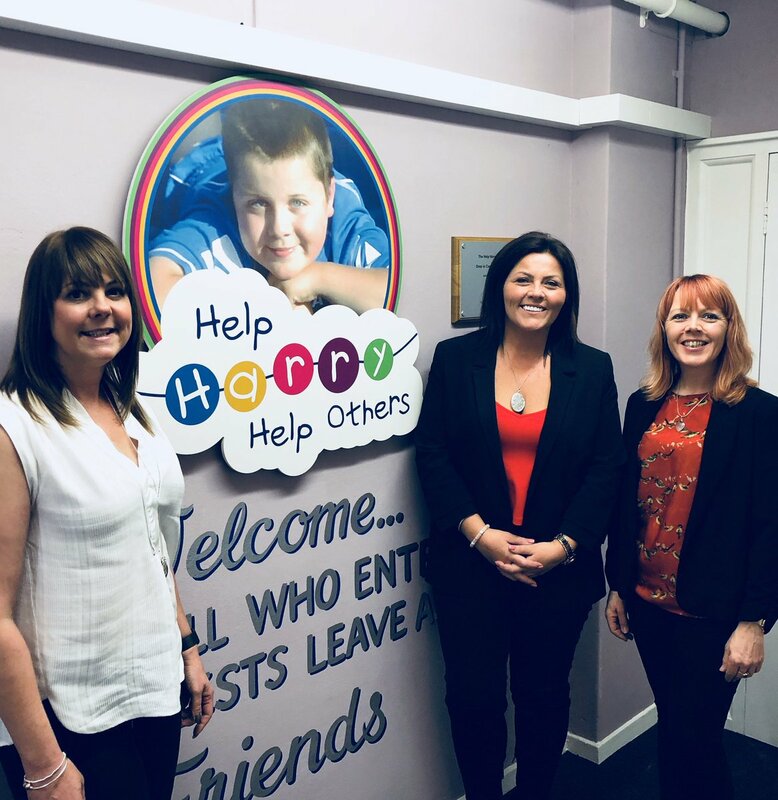 As part of their efforts Smart Homes of Solihull today announced they would be launching into partnership with HelpHarryHelpOthers, donating a percentage of their profits to help continue the legacy of young Harry Moseley. The aim is that for every property that Smart Homes are instructed to sell and subsequently agree a sale on and see through to completion Smart Homes will give a percentage of their selling commission to Help Harry Help Others. Smart Homes have set themselves the target of raising £5000 pounds in 2013 to support Help Harry Help Others which will enable the charity to support up to 100 families throughout this year. To donate to Help Harry Help Others please do not hesitate to contact the charity direct or take part in this venture with your house sale by contacting Smart Homes. Goodchilds take Harry to their hearts! Goodchilds estates agents yesterday welcomed Georgie Moseley from Help Harry Help Others to their offices, where all 15 branches came together to help support the charity by hand making bracelets to take away with them for the public. Teams from across the area joined forces, where they heard Georgie speak about her remarkable son Harry Moseley, who captured the hearts of the Nation with his efforts to help fund research into curing Brain Cancer. Before his tragic death in 2011, Harry raised over £600,000 to combat this disease which now kills more people under the age of 40 than any other cancer. Help Harry Help Others was launched by Georgie in September 2012 to continue Harry’s legacy of not only raising funds for Brain cancer research, but also to continue inspiring other children to be proactive in their own local communities. “Harry was such a kind and selfless little boy” explains Georgie “who only ever wanted to make sure no one else had to die from this terrible affliction. Right up until the day he passed away he gave all his energy, all his time and all his smiles to those people and families affected by cancer, and the inspiration he provided to other school children meant that we could never abandon them and let his example end”. Invited by Goodchilds Managing Director Dave Warke, Help Harry Help Others spent the day with representatives from all their branches across the area, where they were told more about Harry’s journey and the Charity’s aims. Then the teams got cracking hand making bracelets which will then be given to members of the public by way of thanks for donation from each of their branches. Corporate and responsibility is something that Goodchilds has embedded throughout its team and the culture of the organization; working with charities every year since the companies formation, we are also official partners with leukemia research. “Whilst every charity Goodchilds works with have their own merits and do a fantastic job, we are extremely excited and feel honored to be working with a local charity that has already raised so much money and is run in the memory of a very special individual. Spreading the "Harry Love" with extra sweetness! Harry and the kids makes Brindley sparkle! The cutest thing you will EVER watch! Check out coverage of Harry's Charity ball in glam mag "OK! "....role on next year's event!!! Harry and Santa light up Brindley! Uk Triathlon has today announced that as of now Help Harry Help Others is their new official Charity Partner.....we like them ever so much! With 10 events around the country every year, they are urging people to get out there, get fit, have fun and take on a real challenge! As the country's fastest growing sport, which lit up the Olympic games, Triathlon is quickly becoming the ultimate way for people to take on a challenge and help raise money for Harry as well. A HUGE hug full of “Harry Love” from us! This really is something we are so proud to be a part of and hope you will find out just how amazing taking part in one of these events can be! Bristol laughs out loud for Harry!!! Huge thank you to our amazing supporter Jemma Hoskin who for 2 years now has run events for Harry down in Bristol. She is spreading the "Harry Love" and making people smile at the same time...just like Harry did! Thanks so much to Jemma and everyone who attended..."you are making it happen!" Georgie is our "Local Hero"...it's official! Santa's in town!!! Get there now! Santa hits the town...Help Harry...see Santa!